banner 3 has to be the one because there are actual wrestlers on it. so are we sorted on banner 1 then? I would say so but am wondering where this one we have up atm came from. I was gone for like two hours and came back and it was like that, lol. Not bad although. Well yes but i dont like it. 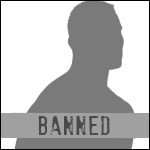 Our banner needs wrestlers on it doesnt it? Only my opinion but I think i make a valid point. Well you can make a new one as it will be ah-mazing but I was thinking that maybe you made enough for us to be greatful of as they are all awesome. Honestly, I'd be happy with anyone of them. Barry must have put the one up we have at the minute, as I dont have access to be able to. bele if you can make the banners or the banner you guys want with the width being 970px and dont add that white background then ill be able to add it. I havnt been able too add any of your banners because of the wrong size and the shadow borders. as requested i have removed the border and made it bigger. I like the new banner. It suits the new style Mayhem has with the background also. To me I prefer it over the first banner also partly because it does have wrestlers on it which the other didn't. It's good to have someone of bele's skill here tbh. Rep added.